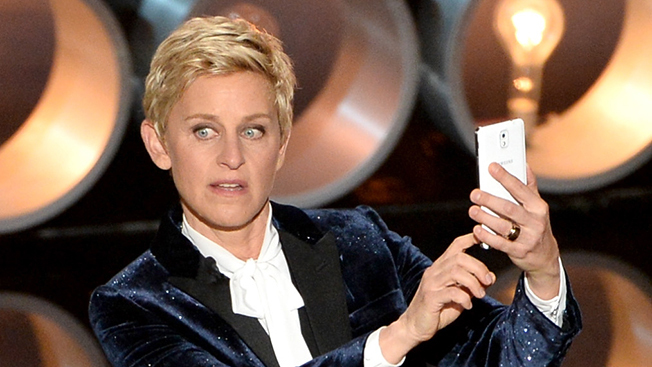 When Oscars host Ellen DeGeneres snapped that epic selfie with the Samsung Galaxy Note during last night's ceremony, it effectively snagged "Best Picture"—among marketers, that is. According to Kontera, which analyzed millions of digital views, Samsung was mentioned 40,000 times across Twitter, Facebook and other social media outlets during ABC's three-and-a-half-hour broadcast. Even though DeGeneres did not actually mention the brand in her tweet (which was swiftly retweeted 1.3 million times), the San Francisco tech firm found that Samsung scored a peak rate of 900 online mentions per minute because of the stunt. The tweet broke a record for retweets previously set by President Obama on the night of his reelection in 2012. Twitter's server briefly went down because of the DeGeneres-generated social media mayhem. The product placement fit nicely with Samsung's "You Need to See This" spot that aired during the show, Kontera said. While Google, Netflix, McDonald's and Oreo also fared well during the broadcast, Pepsi's spot for its mini cans produced the greatest single spike in Twitter activity of the night. Pepsi peaked at 1,200 tweets per minute at one point after the ad ran. Kontera shared the following exclusive data with Adweek.